Welcome to Port City Glass, Your Clear Choice for Glass Installation & Repairs in Greater Newburyport Mass, the North Shore of Massachusetts and the Seacoast of NH! Port City Glass provides expert glass repair, glass installation, shower door installation, mirrors & window installation & replacements to residential & commercial customers in Mass & NH. Family-owned & operated, Port City Glass services include architectural glass repairs & installations for homes, condominiums, office building, commercial storefronts, shopping malls and buildings of all types. Our dedicated team meets challenges and provides technologically advanced glass & mirror products and services. We pride ourselves in getting the job done right the first time with our team of experienced residential & commercial glaziers and project managers. Please contact our project managers or estimators about your next glass installation project. We provide emergency glass & storefront repair services to commercial clients in Mass & NH including emergency window boarding services. Our glass, mirror and window fabrication facility is located on Route 1 in Salisbury Mass and just minutes from Newburyport, Amesbury, Newbury, West Newbury, Salisbury Beach, Plum Island, Byfield, and Seabrook NH. 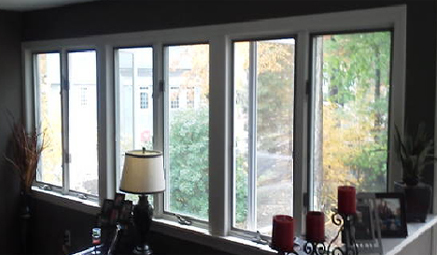 Please call us at (978) 255-2803 and let Port City Glass take care of your glass installation & repair services. Port City Glass offers commerical window repair for any business or commercial property.